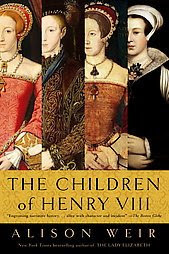 The nearest book was The Children of Henry VIII by Alison Weir. I've been interested in Henry VIII since visiting the Tower of London on my honeymoon in England. She also wrote The Six Wives of Henry VIII. #5It had not been forgotten how Dr. Mallet had celebrated mass in Mary's absence. Shortly afterwards a Master Benett of Ware told the Council that he had heard of a Catholic conspiracy headed by the Earl of Shrewsbury; he believed that the Lady Mary would join it. #6Mary, of course, was not involved, but the councillors were fearful that her house might become a focus for disaffected Catholic nobles. #7It was mainly for this reason that they did not want outsiders to be admitted to mass. #8Late in April 1551, Dr. Mallet was arrested and sent to the Tower. I love memes too! I was actually just tagged for another version of that one... Now that I know I will share them with you!